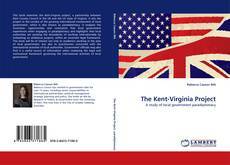 This book examines the Kent-Virginia project, a partnership between Kent County Council in the UK and the US state of Virginia. It sets the project in the context of the growing international involvement of local government, which is also known as paradiplomacy. It analyses the incentives, opportunities and constraints that local government experiences when engaging in paradiplomacy and highlights that local authorities are pushing the boundaries of working internationally by embarking on ambitious projects, within an uncertain legal framework. This book will be of interest not only to academics working in the area of local government, but also to practitioners concerned with the international activities of local authorities. Government officials may also find it a useful source of information when reviewing the legal and institutional framework governing the international activities of local government.